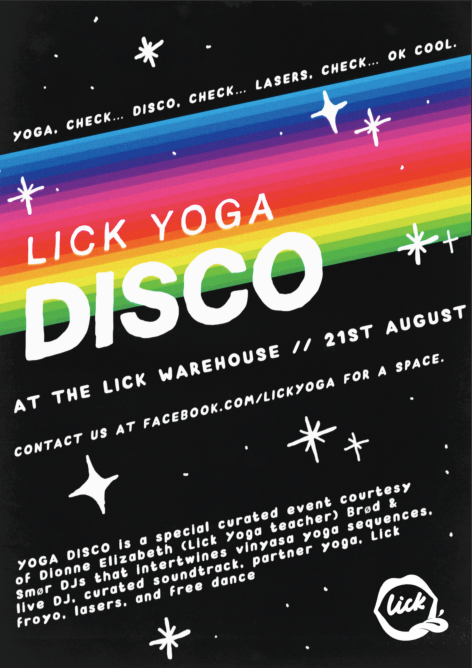 Newsflash: Yoga Disco @ the Lick Warehouse, Brighton this Thursday! Hooray! We´re having a Yoga Disco! (what the hell is a Yoga Disco? Click here to find out!) Come and join us for funtimes, frolicks and fro-yo in the Lick Warehouse on Thursday at 8pm. Drop us an email at yoga@lickyogurt.com to reserve your space! 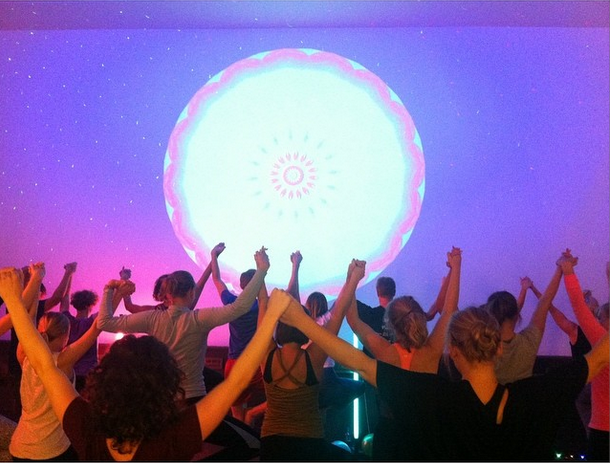 p.s Here´s a video taken from our last Yoga Disco on Friday night in Bergen, Norway. Vibes galore! This entry was posted in news, workshops & events, Yoga Disco and tagged Brighton, lick yoga, Lick yogurt, yoga Brighton, Yoga Disco. Bookmark the permalink. ← Yoga Recipe: i want to be a tree!